Donald Trump – Despite his unpopularity, Trump played a blinder on the campaign trail and ensured the Republicans held their Senate Majority. Just. Nancy Pelosi – Despite some of her own Democratic Party colleagues promising not to vote for her to be the new House Speaker, Pelosi looks safe to get her hands back on the gavel. Dennis Hof – The 72 year old former brothel owner was running for a seat in Nevada’s Assembly 36th District as a Republican. Hof died in his sleep in October but still posthumously defeated his Democratic opponent with 68% of the votes. Brett Kavanaugh – The fight for his appointment to the Supreme Court was one of those rare moments that united all factions of the Republican Party. A key reason why the Republicans kept the Senate. Mitt Romney – The former US Presidential candidate is back in front line politics. House Investigations – In 2019, stand by for a raft of subpoenas by House Democrat-led Committees to anyone affiliated to Trump to appear before them in 2019. Congresswoman Kyrsten Sinema – Sinema’s Senate victory, in the normally safe Republican state of Arizona, was a reflection of the smart centrist campaign she ran against her Republican opponent. Despite the relentless mud slinging from a couple of Fox News fortunetellers. Sinema’s campaign model should be studied by Democrats planning to run against Trump in 2020. Senators Elizabeth Warren/Cory Booker/Kamala Harris – These three Democratic Senators – with 2020 presidential ambitions – can now focus more of their time raising funds and step up their nationwide campaign. Media – With the Democrats winning control of House Committees expect them to leak a treasure trove of sensitive anti-Trump information to their friends at CNN, NBC, New York Times, Washington Post etc. US Politics – Voter turnout was 47%, the highest turnout for a midterm since 1966 (49%). The never ending soap opera drama (occasional sitcom) that is Trump’s Political Mystery Tour continues. This reality show remains box office across the globe. Never seen so much media/public interest over a simple mid-term election. 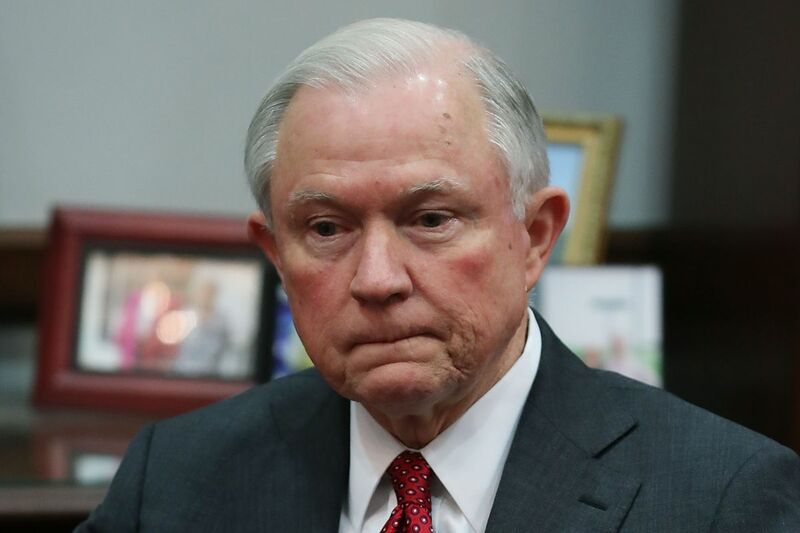 Jeff Sessions – Fired as Attorney General before I considered this blog. Sessions could still spell danger for Trump when the House Democrats start their own Russia/Trump investigations. Sessions is bound to be subpoenaed. Jeff’s Revenge? But those campaigning for bipartisan criminal justice reform and relaxation of federal ganja laws with be delighted Sessions is no longer AG. As he was the biggest hindrance to any reforms of these two key issues. Scott Walker – The Wisconsin Governor’s time ran out and the Foxconn deal sunk his popularity even further in the State. Could still get a post in the Trump Administration. Celebrity endorsements – Clearly has it limitations in influencing the electorate. Excellent speech by Oprah in Georgia though. House Freedom Caucus – These Tea Party-lite House representatives have been the bane of establishment Republican members in the House with their stonewalling of many proposed GOP or bipartisan legislation. Their influence has been clipped and could lead indeed to better working relations between establishment Republicans and centrist Democrats. Barack Obama – His campaigning magic was less effective and shows a real need for new leadership and direction for the Democratic Party. Hillary Clinton – The Democrats have certainly moved on from Hillary. Or have they? Donald Trump – Some of his personal attacks during the campaign on Democrat candidates was just despicable. e.g. Calling Andrew Gillum “a thief”. Surely Gillum is not in (Trump’s buddy) Paul Manafort’s class. Just no grace about the Trumpster. Why go after your own GOP colleagues within hours of them losing their seats? E.g. Mia Love. All bullies have their day. Florida and Georgia – Chaos and confusion over their results lingers on. Lawsuits galore. American interference and chaos in US elections? Never. This entry was posted in American Politics, BBC, bill clinton, Current affairs, Democratic Party, dnc, donald trump, GOP, Republican Party, US Elections and tagged chuck schumer, democrats, donald trump, GOP, mid-term elections, nancy pelosi, Republican, us elections. Bookmark the permalink.